Trying to keep the 4 pics alive. 1) We had an amazing wedding over the weekend in Orange County, we can't wait to share their blog post which will hit the blog later this week. 2) Just finished another amazing shoot with QuitWineing at The Mothership. 3) Added some fresh stuff to our Fine Art Collection. 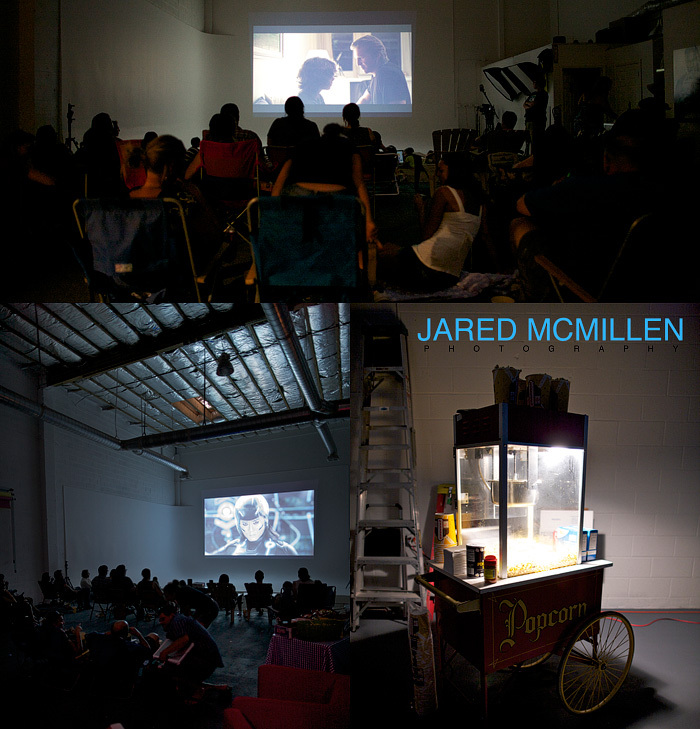 We wanted to extend a thank you to everyone who attended our first ever movie night at The Mothership last night. We ate, drank, sweated, and drank some more, it was a blast. Last nights movie night will be the first of many to come. When we created The Mothership it was our goal to not only have an awesome studio, but also to have a place large enough where we could host events for our clients and others to enjoy. We are already planning the next event, so stay tuned and thanks again for everyone that came out and enjoyed a bit of STUDiO ATG nonsense last night.....LOVE YOU ALL!! 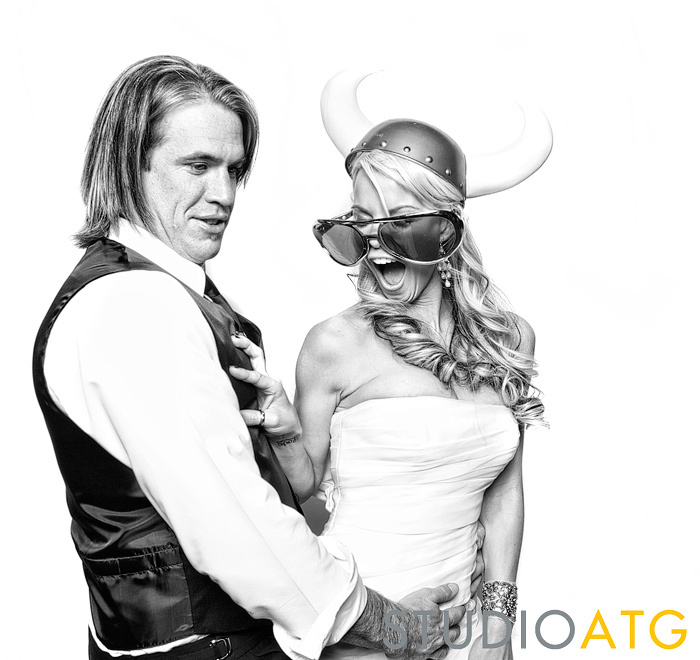 Studio ATG Wins Bride's Choice Award from Weddingwire! Fri. Jun 10. 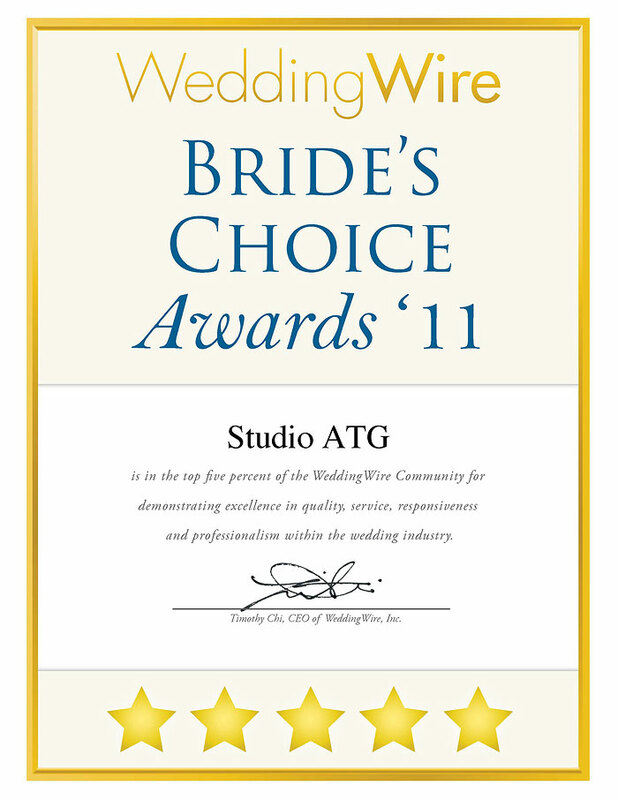 2011Studio ATG Wins Bride's Choice Award from Weddingwire! And if you are looking for a Las Vegas Wedding Photographer to shoot some photo booth goodness at your wedding, just give us a shout! 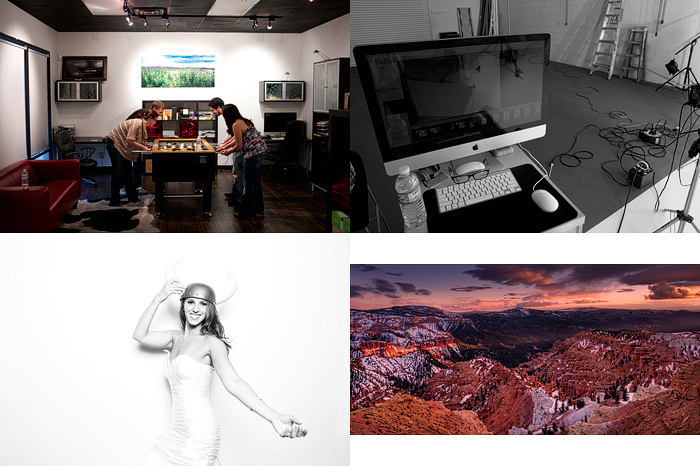 2) Wrapping up the last part of the 2011 ad campaign we have been shooting for Silver State Credit Union. 4) The newest image in The McMillen Fine Art Collection, Summers Whisper. 3) the newest addition to the McMillen Fine Art Collection. 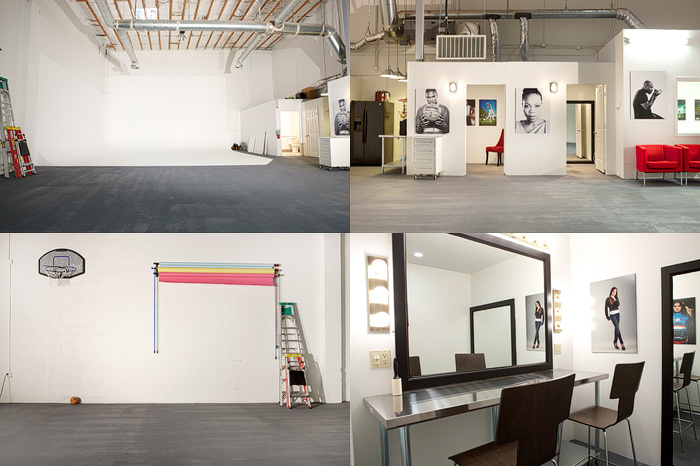 4) The Mothership is open for business, this is our new studio that we will also be renting out to others..
1) Looking back into the depths of the studio, the studio is equipped with a 30' x 30' white cyclorama that can be painted any color. 2) Kitchenette area, make-up room, and changing room. 3) 9 foor backdrop rack, and of course you need a basketball hoop.... Pig anyone? 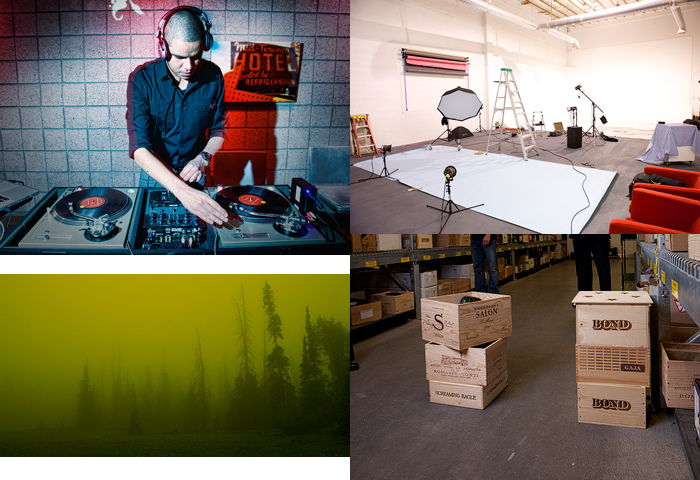 Here is our second installment of "4 Pics". 1) Trish standing in for a quick lighting test from Mondays shoot, we worked with a really great client and the pics will be released sometime in July, will keep you posted. 2) We've been ripping up the new studio, we've already had several commercials shoots in the new space and it has been really nice to have all the room. 4) Meet the newest member to our fine art collection, jump over and check it out, McMillen Fine Art. Adding something new to the blog today and we're going to try do it each week. We're calling it "4 Pics" this will be a quick way to recap what we are doing to keep you all up to speed, as we have been so busy that our blogging has been pretty slow, sorry. 1) Santa Fe, this was our canvas earlier in the week as we were in Santa Fe New Mexico creating some images for one of our editorial clients, great city, awesome food, and crazy drivers, we're already planning a trip back. 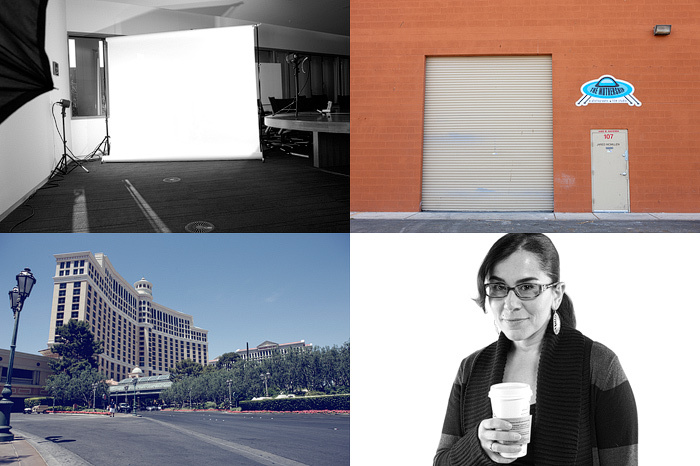 2) The Mothership, over the past couple of months we have been busy working on creating a truly one of a kind studio in Las Vegas, our offices will remain at our current location, but all studio shooting will now happen at our new location. More on this later.